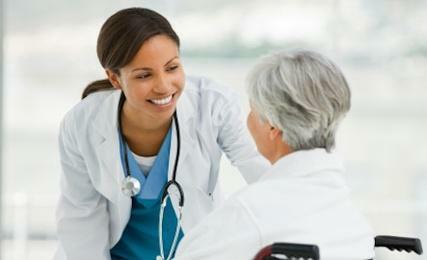 Hair loss is an unfortunate part of life for many individuals as they age. 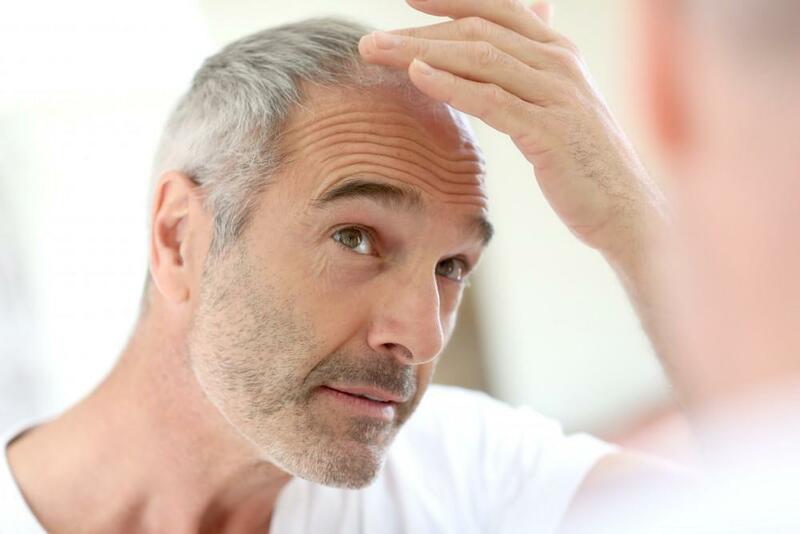 According to the American Hair Loss Association, approximately two-thirds of men will begin to see some form of hair loss or recession, and by the age of 50, approximately 85% of men will have experienced a significant amount of thinning. 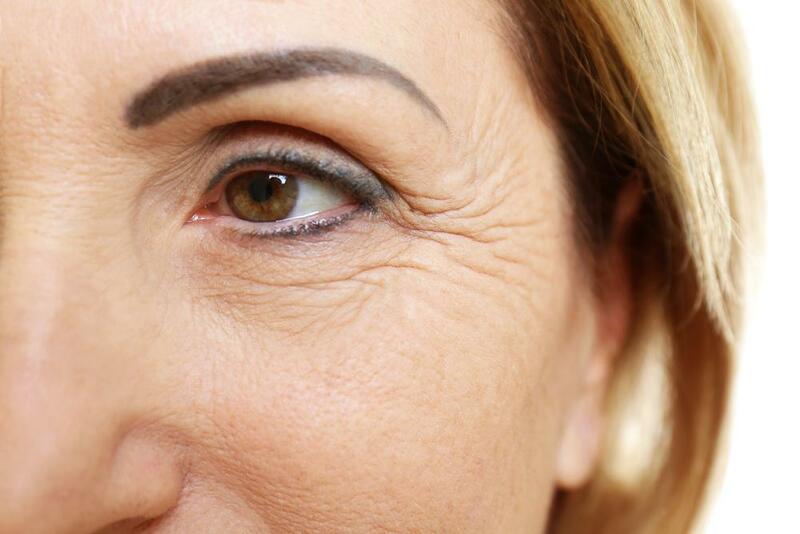 Women are not immune to this condition, with half of all women dealing with hair loss by the age of 50. The great news is that there are many options for treatment. In this blog series, we will examine the basics behind hair loss and then discuss what options exist for patients to treat the condition. There are over 100,000 hairs on the normal human head. Each of these hairs grows from a follicular unit. 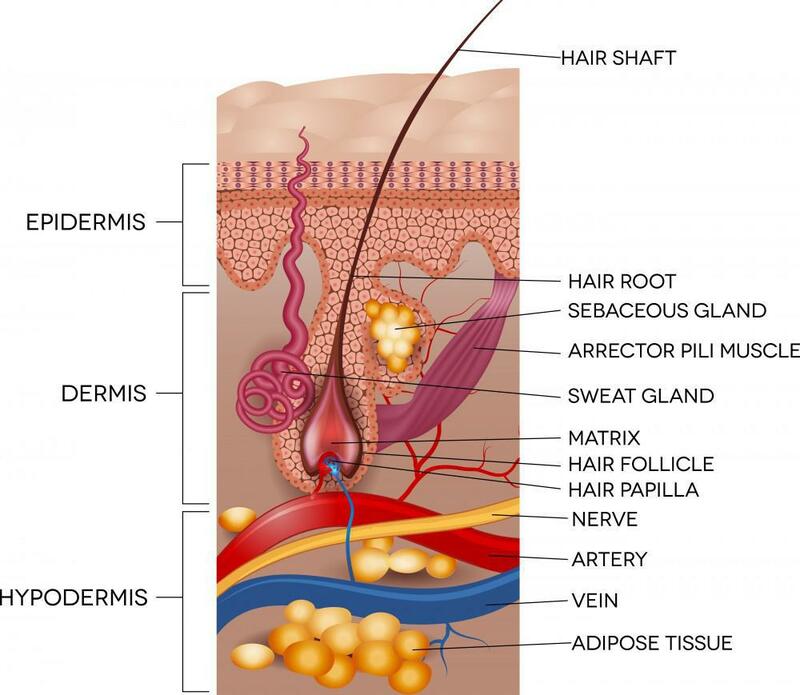 A follicular unit is composed of numerous parts including sweat glands, tiny muscles, blood supply, the follicle, and the hair shaft itself. Inside the actual follicle contains the papilla and the bulb. This is the area where hair growth occurs as nutrients from the body are used to make a hair shaft. As hair grows from the follicle, the hair shaft that emerges grows longer and longer. Typically, hair will grow approximately 0.3mm a day or 6 inches a year. Although your hair is always growing, not all follicles are growing at the same time or rate. This is because hair grows in cycles. These cycles are referred to anagen, catagen, telogen, and exogen. Anagen is the hair growth phase. At any given time, approximately 90% of health hair on the head is in anagen phase. This phase lasts between 2 and 6 years. How long the hair stays in this phase determines how long the hair will grow. Catagen is the phase in which hair enters when it stops growing. During this phase the hair shaft detaches from the blood supply. Telogen is the phase where the hair rests as a new hair begins to grow underneath it. As the new hair grows it pushes the hair follicle out. This phase lasts for approximately 3 months. Roughly 10% of hair follicles on the scalp are in this phase at any given time. Exogen is the final stage in which the hair removes itself from the scalp. Because we have so many hairs on our head, we will loose approximately 100 hairs a day. After exogen, the whole process starts over with anagen. There are two main types of hair on the head: terminal and vellus hair. Vellus hairs are the soft, short, thin, and lightly pigmented hair. These are the hairs that you feel on the back of your neck, or at the edge of your hairline. Terminal hairs are much thicker, longer, darker, and coarser than vellus hairs. These are the hairs that make up most of the hairs on your head. Now that we understand the basics of hair, it is easier to see what happens when we start to see thinning occur. 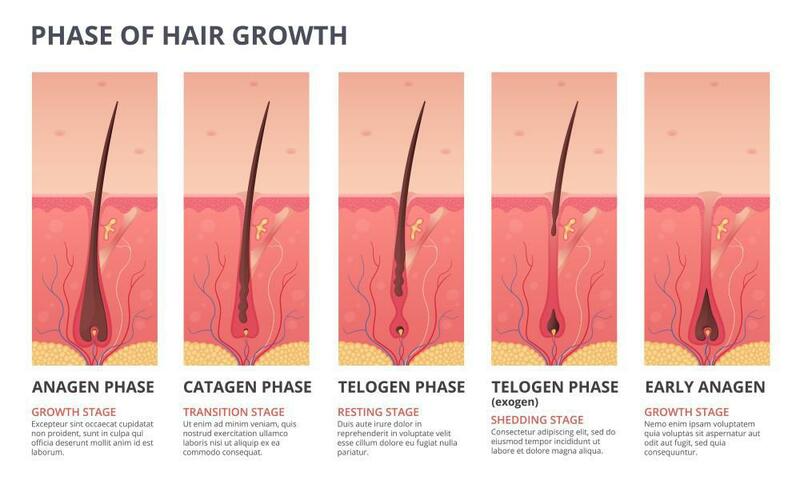 In simple terms, thinning occurs when a larger percentage of hairs enter catagen/telogen phases than normal amounts. In a normal head of hair, approximately 90% of hairs are in the anagen (growing) phase and 10% in telogen phase. When we see thinning scalps, ratios start to change with more hairs entering telogen phase than normal. As a result, more hairs are shed, and the scalp looks thinner. Another thing that can happen is that terminal hairs can turn into vellus hairs. This makes the appearance of thinning as the hairs shorten both in length and width. The color also tends to lighten up as well, giving the appearance that there is less hair on the scalp. Lastly the texture of the hair can change giving a different feel to the hair. So those are the basics to the hair cycle, types of hair, and a brief introduction to hair thinning. In our next part to this forum, we will look at some of the causes of hair loss. I constantly have patients seeking out the new and best way of improving the skin. There are numerous options ranging from lotions and creams all the way to cosmetic surgery. Some are relatively cheap, and others can cost thousands of dollars. Obesity is prevalent, and overeating in the new normal. Could fasting be part of the solution to the obesity epidemic? 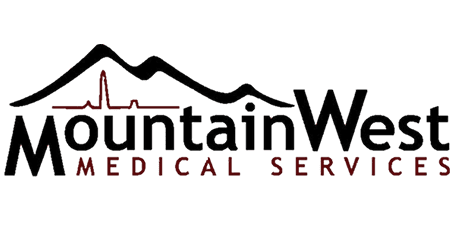 My patients are always looking for non-surgical options for cosmetic procedures. 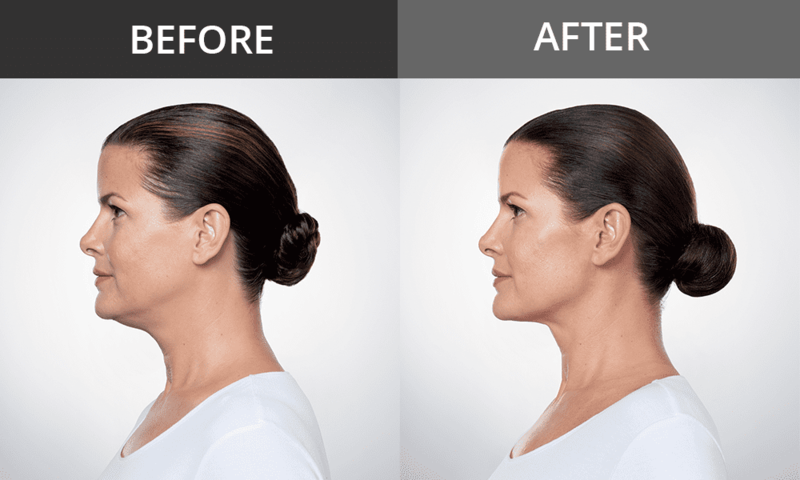 One such treatment that I love for patients is Kybella injections. 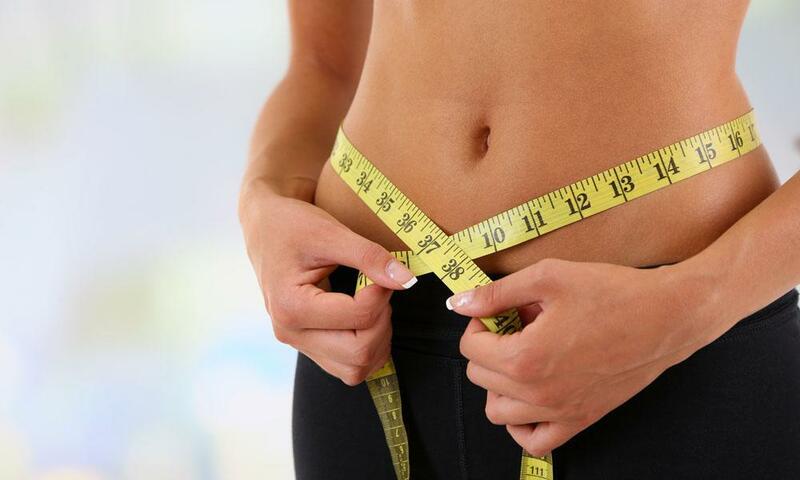 It is used for the permanent reduction in that annoying double chin fat.